Marcus Rashford had a January to remember for a resurgent Manchester United, and he’s just been awarded the Premier League Player of the Month and a ridiculous in-form card to go with it. Rashford scored three important goals after finally being afforded a run of games in his natural position up front for the Red Devils in what was a perfect month for his side. 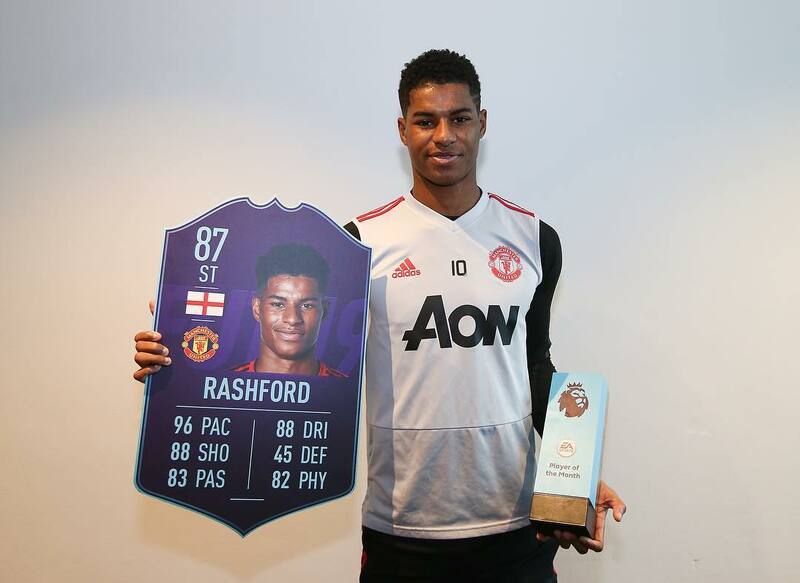 Rashford received a devastating 87-rated card in a striker position. The charged-up card has 96 pace, 88 shooting and 88 dribbling stats, making it one of the sauciest in-form cards released so far this season. Rashford is now putting together stats that illustrate elite-level consistency. It’s clear to see he’s enjoying his game much more under Solskjaer’s tutelage, having scored in three games back to back for the first time in his career while leading United’s revitalised attack. After landing the award, Marcus Rashford is showing us why he’s the rightful leader of England’s new gen.